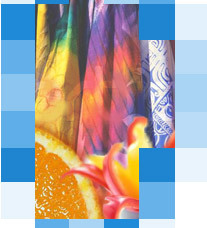 Textile Printing Gum, Textile Printing Thickeners, Guar Gum, Tamarind Gum, Textile Auxiliaries. Shivam Exim is a leading manufacturer & exporter of Textile Printing Gum/ Printing Thickeners like Guar Gum, Tamarind Gum, Textile Auxiliaries at a very competitive price. We exporting to Srilanka, African Countires, Bangladesh, Middle East Countries, Indonesia, China, European Countries. Finishing chemicals, pretreatment chemicals, softeners, sizing chemicals, binders for printing, special dyeing auxiliaries, dye fixers, thickners for all kind of fabrics and all types of textile auxiliaries.